Everyone has a journey that leads to their destiny. For some, it may take 36 years to finally get the chance to write your own story. Horses have been a part of my life since the day I was born. My Mom had a love for horses as a little girl and that love was passed down to me. It all began at the age of three with a weekly pony ride on South Main Street in Houston, Texas. I couldn’t wait to ride and experience the feeling of freedom when I would climb up in that saddle. It has been said, “When we ride a horse we borrow freedom.” I truly believe in that and will continue to preserve that freedom. As my life took twists and turns during my teenage years, I experienced the pain of losing loved ones and the challenges of living on my own. 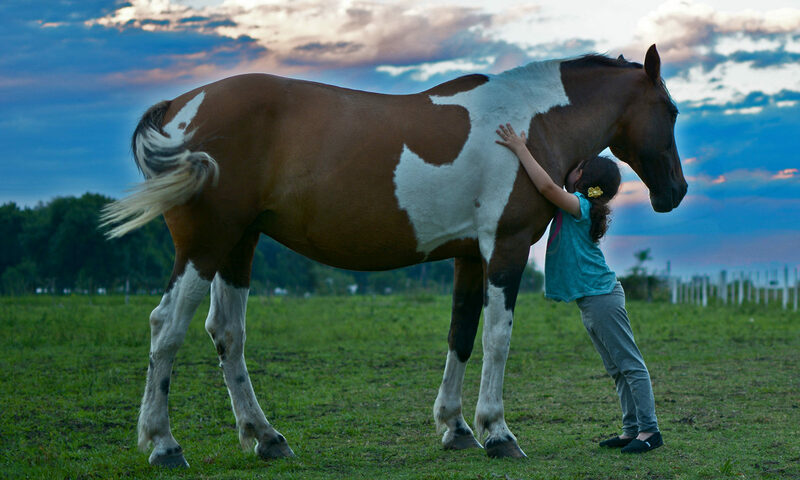 One of the things that I could always depend on was the love and comfort of my horse. My first horse, “Peaches,” taught me everything that I know about horsemanship and to never give up when the going gets tough. Life lessons happened at the barn and out on the trail as I learned about myself and challenged my dreams. When I was ready, at the age of 15, I decided to raise a horse on my own. Louie was born April 25, 1997, and changed my life forever. He gave me the courage to stay true to myself and encouraged me to help others that crossed our path. In 4-H I always wanted to be one of the Texas A&M officials at our horse judging contests. I looked up to their leadership and the pride that they had as a Texas Aggie. I had it set in my brain that I was going to Texas A&M University and I would use my heart of service to change the world. In the fall of 1999, I did exactly what I set out to do. I applied to Texas A&M in hopes that my leadership and community service would include me in the Class of 2004. I continued to work hard on my studies, use my leadership on and off my horse and most importantly thank God for granting me the strength to never give up on my dreams! In the Spring of 2000, I was accepted to Texas A&M and saddled up for my college career. Most high school graduates look forward to buying a new car to drive to college, but for me, I couldn’t wait to take my horse to school. Louie had been through everything with me thus far and I was not going to leave my best friend behind. College was not easy for me from family problems, working three jobs to pay for school, and cancer taking the lives of two of my beloved grandparents that forced me to take a break from school my senior year at Texas A&M. There were times that I felt like I had been bucked off a horse called “LIFE.” But all I had to do was look into Louie’s eyes, crawl up on his back and take a ride to regain control and push myself to become a leader. The hard times taught me resilience and that I had a fire that would never burn out when it came to horses. After filling out an application, writing another college essay and praying that God wanted me back at Texas A&M, I was granted the opportunity to finish my journalism degree at Texas A&M starting in the Spring of 2014. After I began my first semester, I was faced with fears of losing my brother after heart surgery, financial situations and the stress of juggling a full-time job and school. I made it through on faith and the power to never give up on what was most important to me. I was going to finish what I started at Texas A&M and make my mark on this world. A very special adventure was planned for me as I took a ride through the life as a college student once again, but with a focus, I had never had before. I knew that I had the power to make my dreams come true by building my foundation and teaching others how to enjoy the ride. Horses help us to heal, rebuild our foundation and discover hidden parts about ourselves. This is a special gift that horses naturally have that I have seen, experienced and have been given the opportunity to share it with the world. I have always had a heart of service and wanted to serve our military on the home front. In one of my recreation parks and tourism science classes, I designed a program plan for my destiny called HOOFBEATS FOR HEROES where my horses would serve our military and their families with horseback riding and horse therapy. During January of 2016 in an RPTS field studies class I was exposed to the Morale Welfare and Recreation Programs that our U.S. Military provides for our servicemen and women and their families. One facility that we toured was BLORA Ranch on Fort Hood. We were told that this facility had been vacant for over two years. I was asked during our tour at Belton Lake Outdoor Recreation Area if I would like to leave my contact information if the facility was reopened in the future. I finished my journalism degree at Texas A&M in May 2016 with a new found strength and pride for never giving up on my dreams. One dream that still ran wild and free was running a horse ranch for our military. July 1, 2017, I received a letter of interest from the U.S. Army about running BLORA Ranch. I have always believed that Louie and the horses that have come into my life have always had a higher calling and that is to serve our heroes here on the homefront. With that said, I officially formed HOOFBEATS FOR HEROES in September 2017. Greg Dickens, a professor at Sam Houston State University, believed in me and my dream. He took me under his wing as we put together a bid that was bold, passionate and had a direct purpose to serve the military community. The stars aligned and I was awarded a five-year contract with the U.S. Army to run BLORA Ranch in October 2017! HOOFBEATS FOR HEROES became a recognized 501 (c)(3) public charity in November 2017 as Louie and our team of horse angels will continue a legacy of service for our military, veterans, first responders, and their families. 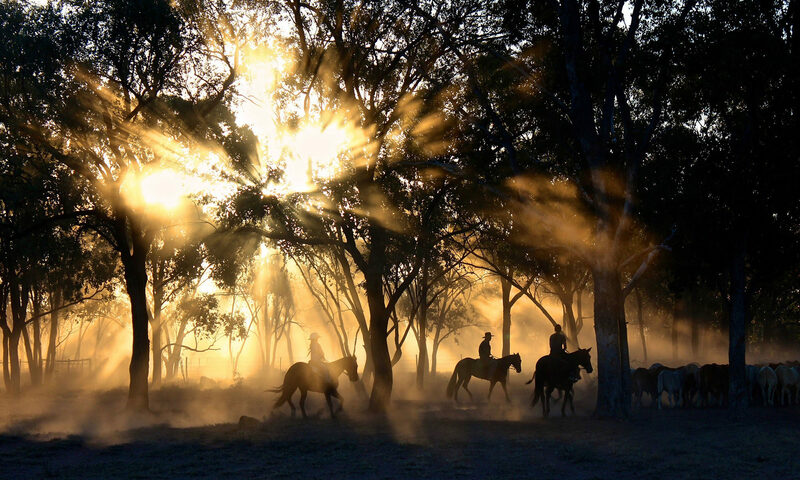 I am driven to provide a safe, relaxing environment for our soldiers and allow them a chance to rebuild their foundation, make connections with horses, and improve their overall quality of life. It has been a lifelong dream of mine to share my love of horses and passion to serve our heroes here at home. Horses have an amazing power to heal our emotional wounds and teach us about ourselves. Whether a horse is born in the wild or on a Texas breeding farm, they live their entire lives motivated by three factors: survival, comfort, and leadership. The foundation of HOOFBEATS FOR HEROES is based on these three factors to help our heroes and families ride home.